The IndieCommerce Institute is an interactive, classroom-style workshop for users of ABA’s IndieCommerce platform. Attendees can register for either a morning or an afternoon seminar for $59 each, or for both morning and afternoon seminars for $118. Each seminar will include step-by-step instructions for the topics covered. Lunch is included for ABA members who sign up for both sessions. Does Your IndieCommerce Site Have It's Own Authorize.net Account? IndieCommerce has begun to roll out a new technology from Authorize.net called Accept.js. 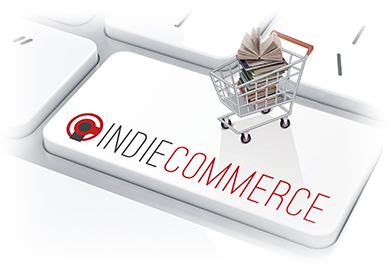 The upgrade to IndieCommerce sites should be completed by the end of November 2018. Accept.js ensures greater PCI compliance and security for IndieCommerce and IndieLite sites. Sensitive cardholder data, such as the complete credit card number and the card verification value (CVV number), are passed directly to Authorize.net via Accept.js and not stored or “touched” by your website. If your IndieCommerce website has its own Authorize.net account, please email staff@bookweb.org so that we can schedule a time to switch you over to Accept.js. American Booksellers Association will present a video roundtable discussion on cooperative advertising on Thursday, November 8, from 11:00 a.m. to 11:30 a.m. EST. All booksellers are invited to participate. Cooperative advertising (or “co-op”) refers to publisher-defined programs in which the publisher and the bookseller “cooperatively” promote a book or books according to mutual priorities. Co-op promotions can focus on direct purchases, indirect purchases, newsletters, events, and displays. During the roundtable booksellers will learn how publisher-supplied co-op funds can be used for marketing books. Booksellers will hear from one bookseller about how their store tracks and claims these funds, as well as from another bookseller about the benefits of using a third-party service to track co-op.